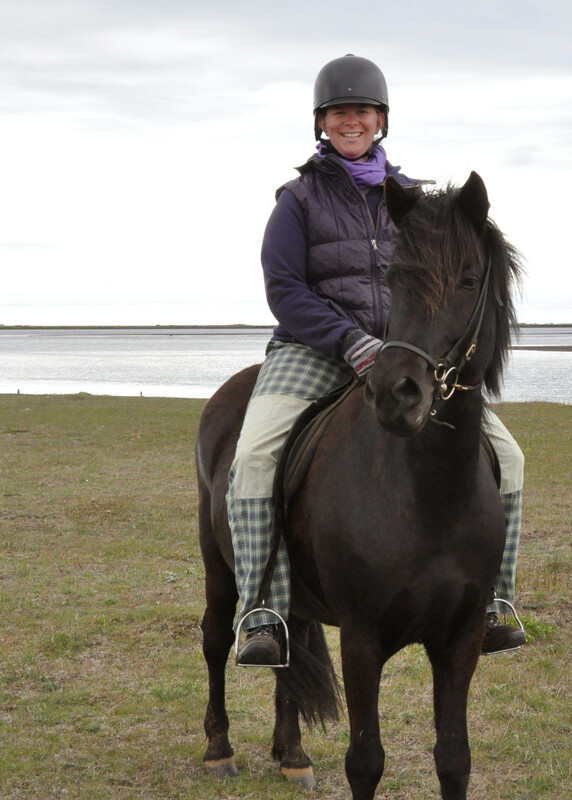 A few years ago, we went to Iceland. A country of scenic views, endless sea, mountain ranges dotted with volcanoes, seabirds, wild flowers and long, wide angle photos. We saw the sun setting for twenty minutes (surreal), puffins (up close), a dolphins fin (we weren’t very lucky there), whale meat for sale (which we didn’t order) and lamb stew (amazing). 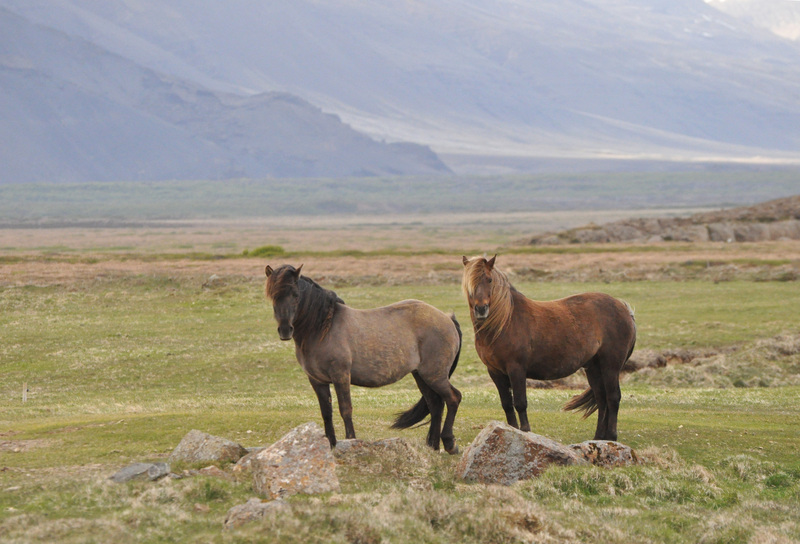 We also saw the famous Icelandic horses. 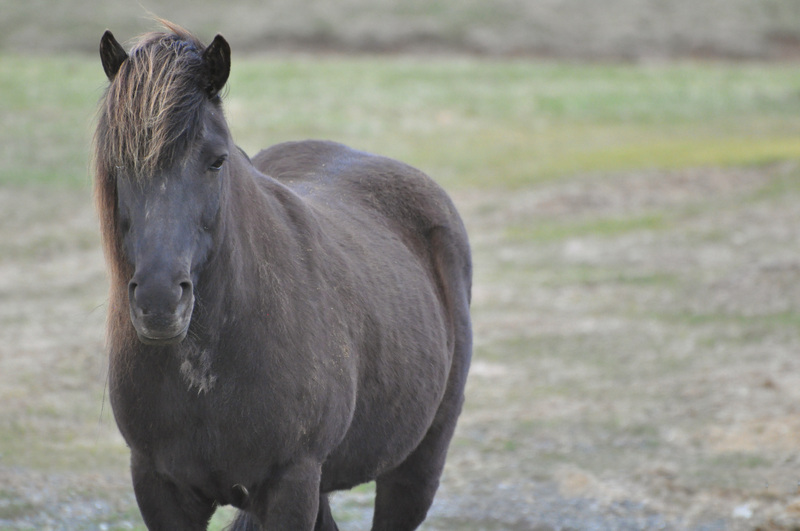 They’re famous for being small, stocky little horses that move fast and unlike other equids we know – they’re known as the five-gaited horses because they have, literally, five gaits. The walk, the trot, and the gallop they share with all other horses. 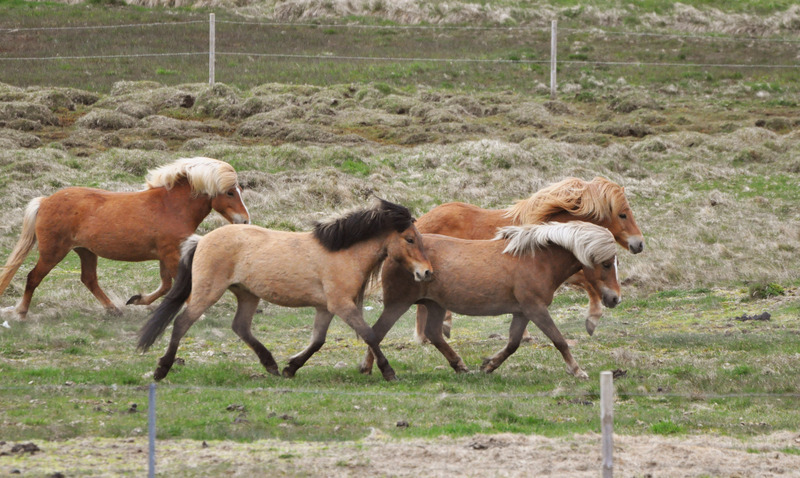 What they are able to perform as an extra is the flying pace – a same-sided sort of trot (so the horse lifts the front and back leg of the same side at more or less the same time, a bit like a running camel) – and the tölt – which is a super fast walk, known for its speed and comfort. 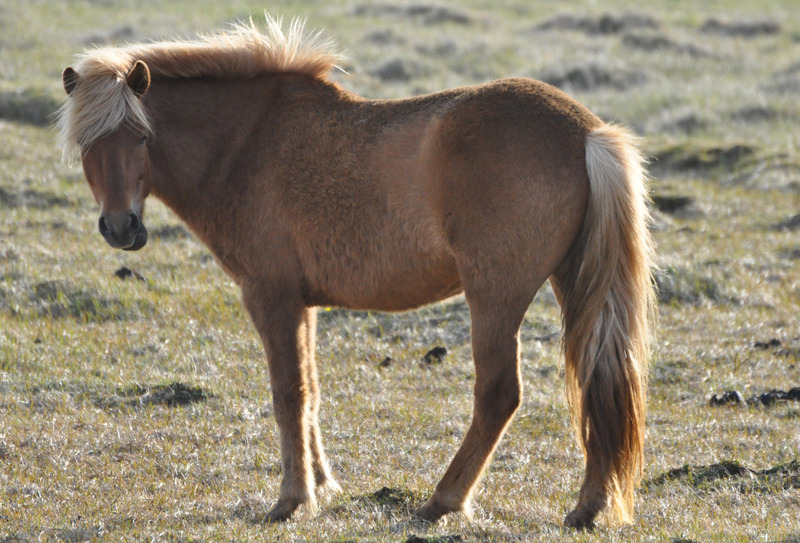 Since in Iceland virtually no diseases or parasites occur, the horses have little to no acquired immunity to viruses and bacterial infections common in the rest of the world. 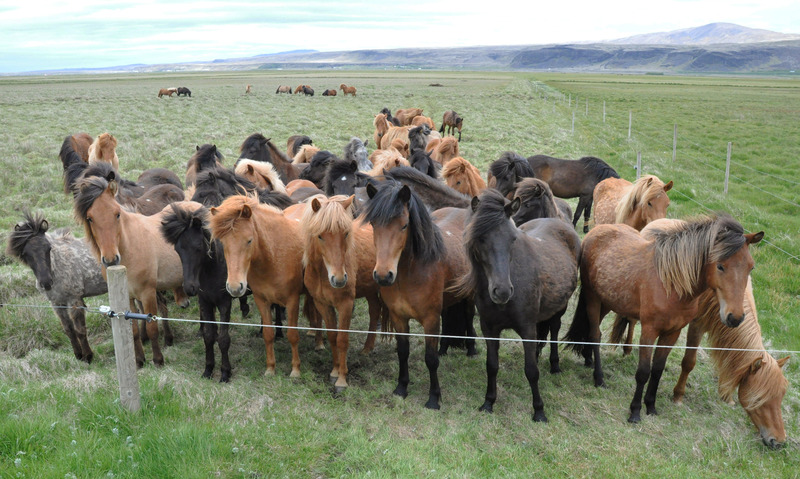 This fact is at the base of extremely strict livestock regulations: no animal can enter Iceland, no used horse riding equipment can be imported (it has to be new or officially disinfected) and if a horse leaves, it can never return. 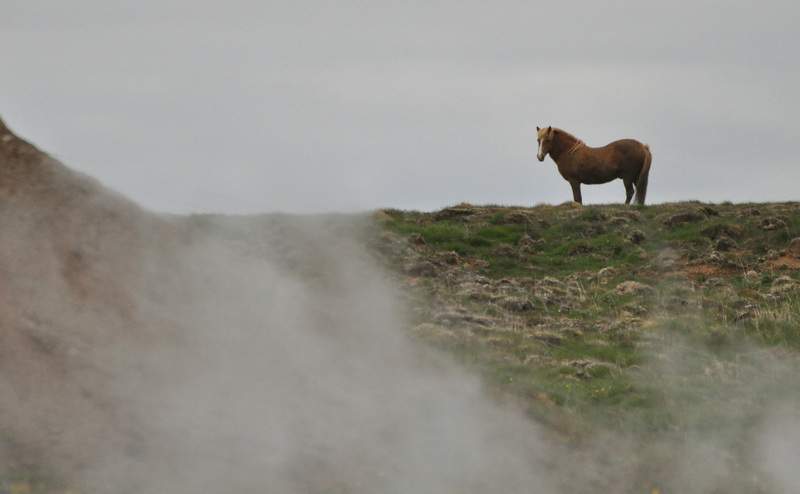 Drastic, but necessary – if a disease came in, the horses on the island would probably all be killed. I remember their colours – incredibly adapted to the environment. 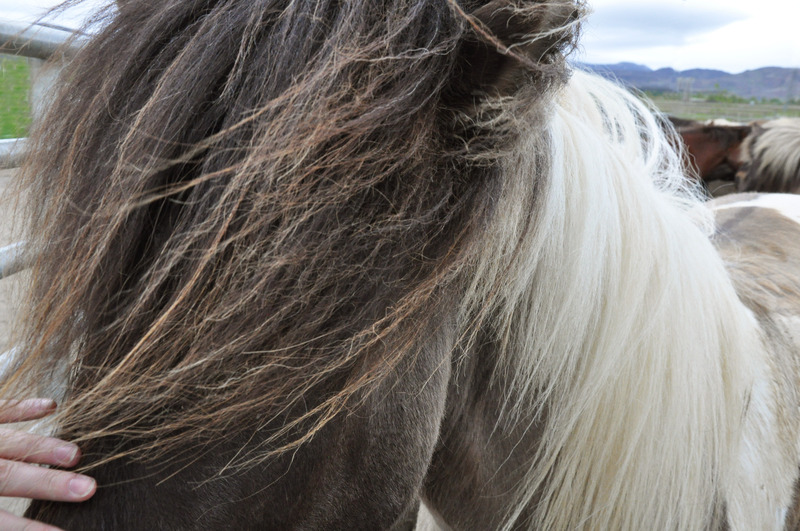 I remember their manes – thick and warm. And I remember their looks – unafraid, curious and just so slightly impertinent. 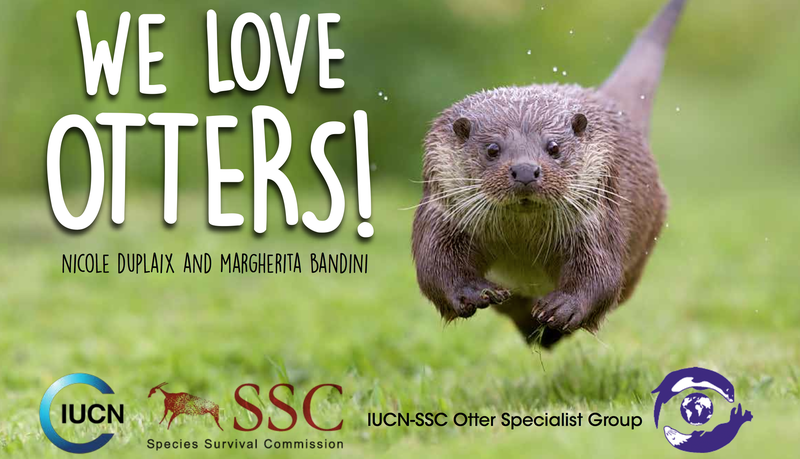 When they weren’t still, they were moving fast. Walking didn’t seem to be an option. The guardian of the thermal spring? Was I too close? The light was amazing. Well, they definitely were interested in us! 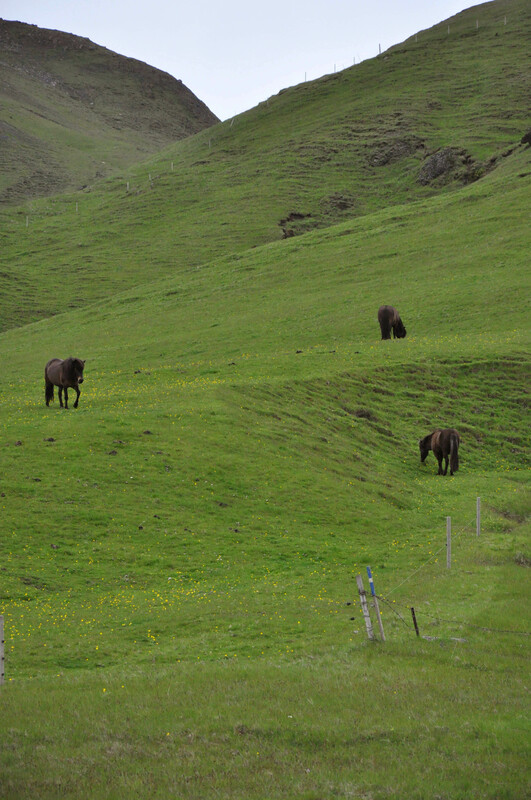 On the green hills, grazing. Up close and personal. So much hair! Yours truly, after a long tölt.